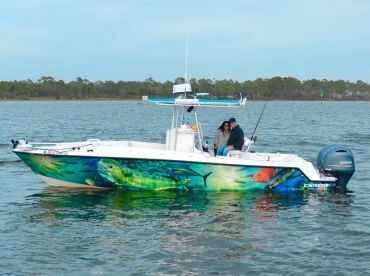 Pensacola inshore fishing offers anglers the chance to explore a quintessential Florida fishery without having to deal with strong waves or seasickness. 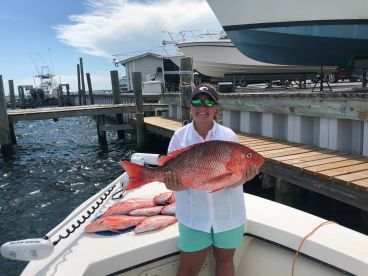 Whether you want to get immersed in the middle of one of the state’s most exciting Bull Redfish runs or look for an iconic Red Snapper, you don’t need to travel far for an colorful experience fishing in Pensacola. The 144 square mile expanse of the Pensacola Bay estuarine system has ample space for fish of all shapes and sizes. 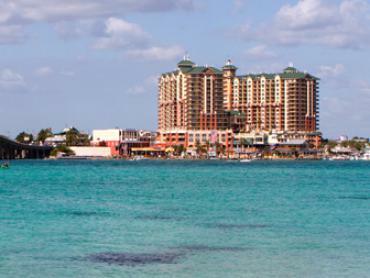 This is the fourth largest waterway of its type in Florida, and the numerous rivers that feed into the Pensacola Bay system create a rich ecosystem that is enough to tempt most discerning of fish inside. The star of the show in Pensacola’s inshore waters is the Bull Redfish, without a doubt. This is the only natural pass in the local area, meaning these bruisers are instinctively drawn to these waters when time comes for them to spawn. In the winter, they are joined by ‘Gator Trout’ — huge Speckled Trout that don’t only put up a heck of a fight, but also taste fantastic. 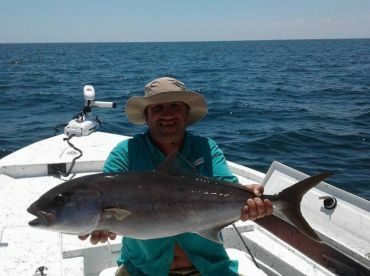 With Spanish Mackerel, Sheepshead, Bluefish, and a wide range of Sharks joining them throughout the year, there really is never a dull moment for Pensacola inshore fishing charters. Brackish waters in estuarine marshes. Pensacola Bay is fed into by the Blackwater, Yellow, East, Escambia, and Simpson Rivers, so there are plenty of places to get out the light tackle and explore. 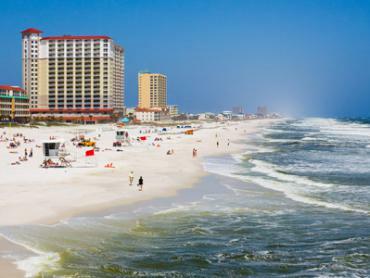 Pensacola Pass. 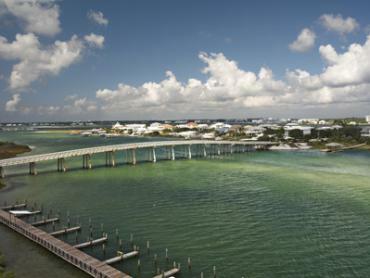 This narrow waterway by Fort Pickens is where the Pensacola Bay system meets the Gulf of Mexico. This can be an incredibly productive place to fish, but it’s important to do so with an experienced guide who can navigate the traffic and strong currents. Any type of structure. Bridges, docks, seawalls, oyster bars, rock piles… they all have one thing in common: they make the perfect habitat for local inshore fish. Deep water wrecks. 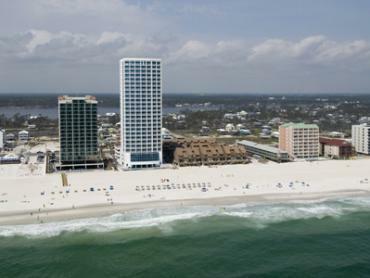 You might be surprised that Pensacola Bay has access to some bottom fishing that can rival anywhere offshore in the Panhandle. 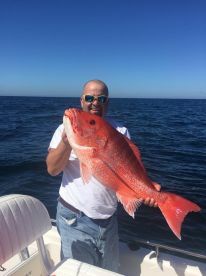 Big Red Snapper and Gag Grouper have been found here in 60 ft of water, and require the type of heavy tackle that you would never expect to see on an inshore fishing charter. These spots are very heavily guarded, though, so look for a guide who knows their way around! 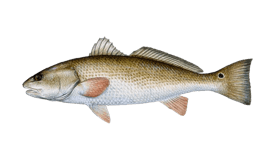 Spring (February to May): Keeper Redfish and Speckled Trout will keep you busy on artificials or bait. If you’re after some variety, look around bridges and docks for Sheepshead, who will love a bit of live crab. 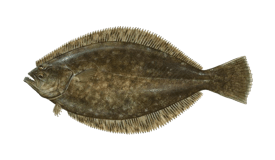 Summer (June to August): As the weather gets warmer, the inshore sportfish can be found in the shallows. 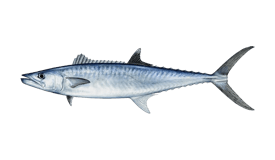 The main excitement at this time of year is the huge run of Spanish Mackerel that make their way into the Bay. 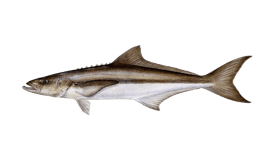 Fall (September to October): There’s only one thing Pensacola inshore guides are talking about at this time of year, and that’s Bull Redfish. Come fishing now and see if you can catch the biggest fish of your life on light tackle. 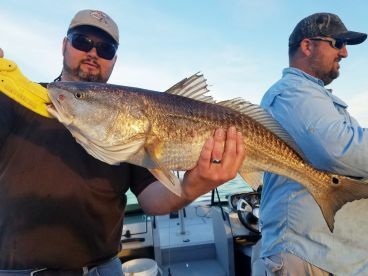 Winter (November to January): The excitement of the Bull Redfish run may calm down slightly, but you will still see plenty of big Reds around at this time of year. In December, they are joined by Gator Trout. Over the last 3 years I’ve been on several all day offshore trips and half day inshore trips with captain Bryant. He hasn’t ever failed to show us a great time and put fish on the boat. I wouldn’t go with any other charter! 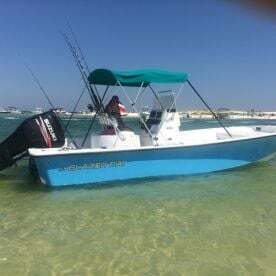 "Morning Trip With Captain Gene"
If you want a fantastic inshore trip with a personable captain with experience, I highly recommend Captain Gene of Keepin It Wet Charters. He put us on the fish and it was game-on until we maxed out our limit. 5 stars across the board!! !